The Ultimate Denver Wedding Limousine. One of our two brand new 2019 300C gullwing limos, this one in wedding white. 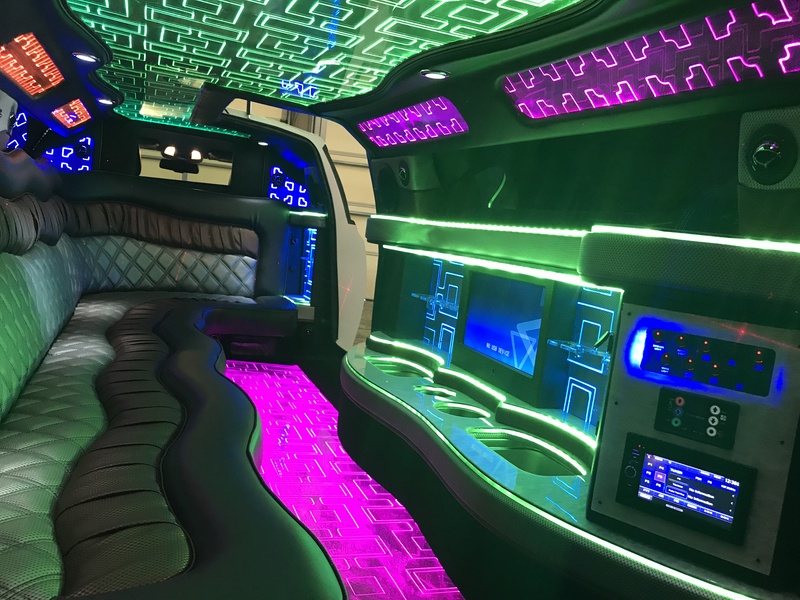 Comes equipped with Smartphone integration, HD flatscreens, sub woofer sound system, green and red lasers, a disco floor and a full beverage disco bar. The gullwing “5th Door” adds an easy way to enter and exit the limo, making this the perfect choice for a wedding limo. Whats a gullwing door, you ask? Great question! You may remember the DeLorean time machine from the Back to the Future movie franchise? The 5th door on this limo open exactly like that. Seats up to 10 passengers. Seats up to 10 passengers. 8 passengers for the most comfortable seating. Sunset Limos does not provide iPod or smart phone cords. 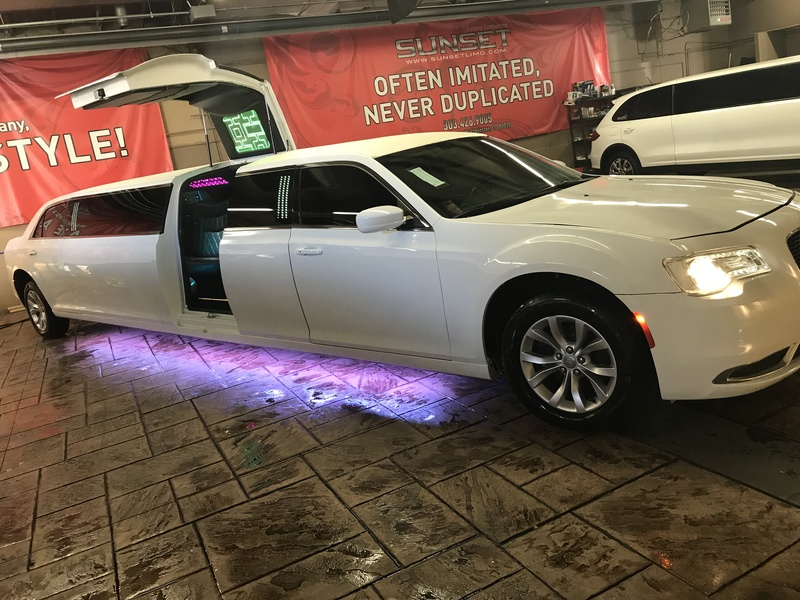 Call (303) 426-9668 to book this limo! Sunset Limos has the largest and highest quality limousine fleet in all of Colorado. We have been servicing the Denver Metro Area for over 25 years and our limos are clean, luxurious and will never “look” cheap. Our professional chauffeurs are courteous, licensed and are trained to make every limo experience the best. But don’t take our word for it; read what our clients are saying about us on Google and Yelp, or click here to read reviews and testimonials from our satisfied clients.